David first met Frances Stroh when he read on the same bill as her during a Litquake event in a bar in San Francisco’s North Beach that stank of beer. When he found out who she was and what the book was about, it seemed weirdly appropriate. Besides being a wonderful artist and writer, Frances is also part of a family that made wildly successful and popular beer for many decades. And then all the beer money dried up. And so she became yet another version of the American Dream: family dreams of making a fortune in the beer business, family makes a fortune in the beer business, family loses a fortune in the beer business. And now she’s written a memoir to prove it. 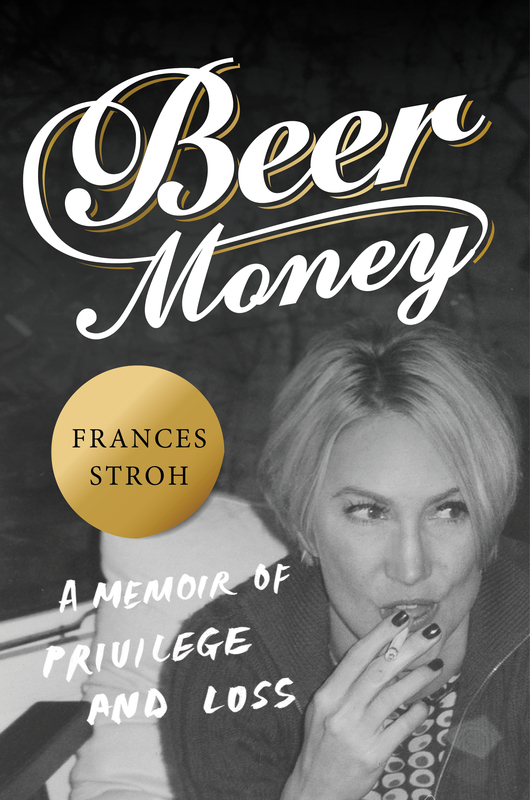 Since her book, Beer Money, just came out, we thought we’d pick her brain about alcohol, money, family and writing it all down. The Book Doctors: First of all, why in the name of all that is good and holy did you decide to write a memoir? Frances Stroh: I’d been working on a novel set in the late nineties New York art world about an artist protagonist whose family had lost their wealth. It was a true work of fiction but echoed some of the themes in my own life. Deep down I knew the real book I needed to write was my own coming of age story as an artist as it related to my family’s tragic decline, and the door to do this opened in 2009 when the family company announced that dividends would end because the company was broke, followed a few months later my father’s sudden death. My father had appointed me as the executor of his estate and as I combed through his many collections of antique firearms, vintage cameras and guitars, and stacks of artwork, preparing them for auction, a maelstrom of memories was triggered. These memories of the complex dynamics behind the painful events in my family eventually became the book. TBD: What books did you love when you were growing up? FS: I devoured everything by Hemingway and Fitzgerald in high school, as well Tom Wolfe and all the Beat writers. Around that time I read a biography of Edie Sedgwick by George Plimpton that was as much about Andy Warhol and the Factory as it was about Edie, and this book hugely impacted my view of art and what it could be. TBD: How did you learn to be a writer? FS: In the very beginning, I studied with writers whose work I deeply respected–Tom Barbash and Julie Orringer. Their influence on my development was immense. Then it was time to just do the work, one early morning writing session at a time, followed by a late morning session, and an afternoon session. I kept reminding myself of Woody Allen’s famous line, “Eighty percent of success is just showing up.” In my case, this meant showing up at my desk physically and emotionally–being present. TBD: What was your road to publication like? FS: Surprisingly smooth. I had put in a good deal of work on the book to get it in shape, working with an excellent freelance editor–Zoë Rosenfeld–before sending out to agents. I signed on with the amazing Rob McQuilkin one week after I mailed him the manuscript. A month later we sold the book to HarperCollins at auction. I was extremely fortunate. At Harper I worked with Jennifer Barth, for whose keen eye and sensitivity I have a deep respect. From beginning to end, the publication experience has been very positive, down to all the renowned authors with whom I did my “in conversation” events on my book tour. TBD: Did your work as a visual artist influence your writing? FS: I explore issues of identity, point of view, and the mythologies that define us across all media, and the family video installation piece I describe in the prologue of the book was really the genesis for the memoir. The seeds for the memoir were also present in the high school application essay I describe in the book, where, as a thirteen-year-old, I write about my brother’s drug bust and how it affected my family. I think the writing and the visual work influenced each other in the sense that the same themes kept coming up, no matter the medium. Writing the memoir was a way to deepen my exploration of these themes. TBD: How did being a member of the San Francisco Writers’ Grotto help you in your development as a writer? FS: I waited to join the Grotto until I was finished with the book, and yet the support I have felt as a member of that community while bringing the book into the world has been huge. There’s truly no replacement for working among and socializing with seasoned writers who have been down the road one is about to embark on. I am very grateful for the friends I have made at the Grotto and the immeasurable impact they’ve had on my path as a writer. TBD: When David’s first memoir, Chicken, came out, his family basically didn’t speak to him for five years. Have there been any repercussions from your family about writing a story in which many of them are characters? FS: I published a chapter of the memoir two years ago with Shebooks, a publisher of short ebooks by women writers based in San Francisco, to the applause of everyone in my immediate family. My brother told me it read like a “modern day version of The Catcher in the Rye.” Since then, my mother has been a huge champion of the memoir, rallying her friends with galleys and attending many of my book tour events. The extended Stroh family, most of which are not in the book, have been quieter on the subject, but some have sent letters of praise and support and attended events as well. Overall, I feel the reception of the book has been positive. TBD: Between the two of us, we’ve written, agented, publicized, and performed more memoirs than we care to remember. What were some of the joys and difficulties of taking the seemingly random events of your life and turning them into a plot with a beginning, middle and an end? FS: I view the memoir as a love letter to my past, and a book I needed to write in order to reconcile with that past. Throughout my life the tension of one challenging event had built upon the next one with no outlet. From an early age, I was told that it wasn’t okay to talk about money, family difficulties, or anything of any import. And all the while these idealized photos of the perfect American family were piling up all over our house. My father’s photographs now seem haunting in the context of my truth-telling narrative, a juxtaposition in the book I view as a wonderful collaboration between my father and me. By reconstructing the past through the writing of the book I was able to reclaim many of the feelings that I’d had to push aside through the years, feelings I hadn’t been able to feel at the time because the events that triggered them were too taboo to talk about, such as my brother Charlie’s decline into drugs and eventual death. As I wrote the book, patterns began to form, links that connected events that had never before seemed connected–such as the simultaneous unraveling of my family, our business, and Detroit. A new kind of understanding took hold within me. I call it “strange alchemy.” Only through the writing of the book did I come to see how these links were all there, all along, on a somewhat epic scale, making the story of the family, our livelihood, our hometown, and our shared destinies a kind of American story. It became something bigger than my own personal story, while at the same time it’s told in a very personal voice. TBD: Do you have any advice for writers? FS: Find the voice that wants to tell your story. Once your narrator is there, the book will essentially write itself. All you have to do is show up at your desk, every day, and give that voice free reign. And don’t think about any kind of an end goal. Following that voice, and the writing itself, is the real reward. Frances Stroh was born in Detroit and raised in Grosse Pointe, Michigan. She received her B.A. from Duke University and her M.A. from Chelsea College of Art in London as a Fulbright Scholar. She practiced as an installation artist, exhibiting in Los Angeles, San Francisco, and London, before turning to writing. 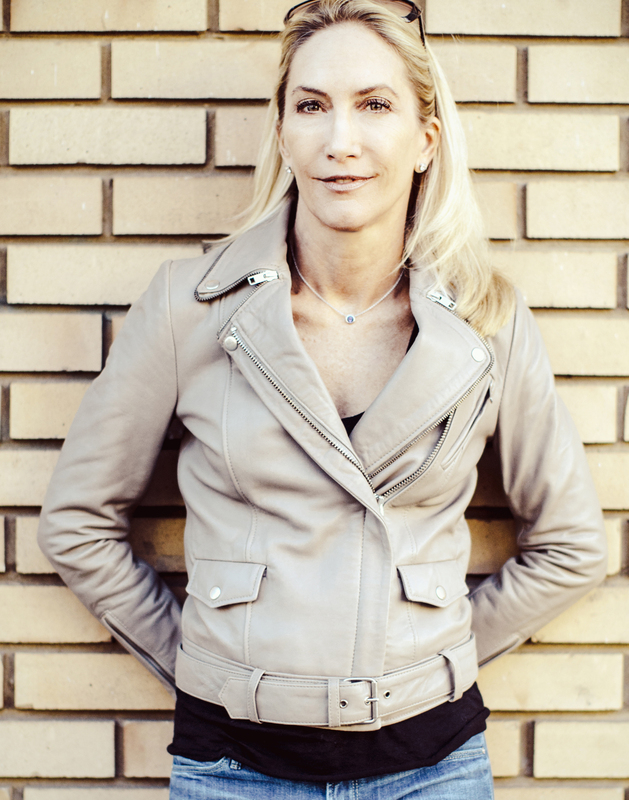 Frances is a member of the San Francisco Writers’ Grotto, and her work across all media explores issues of identity, point of view, and the mythologies that define us.